Your go-to summer sandal has arrived in the Earth Maui. 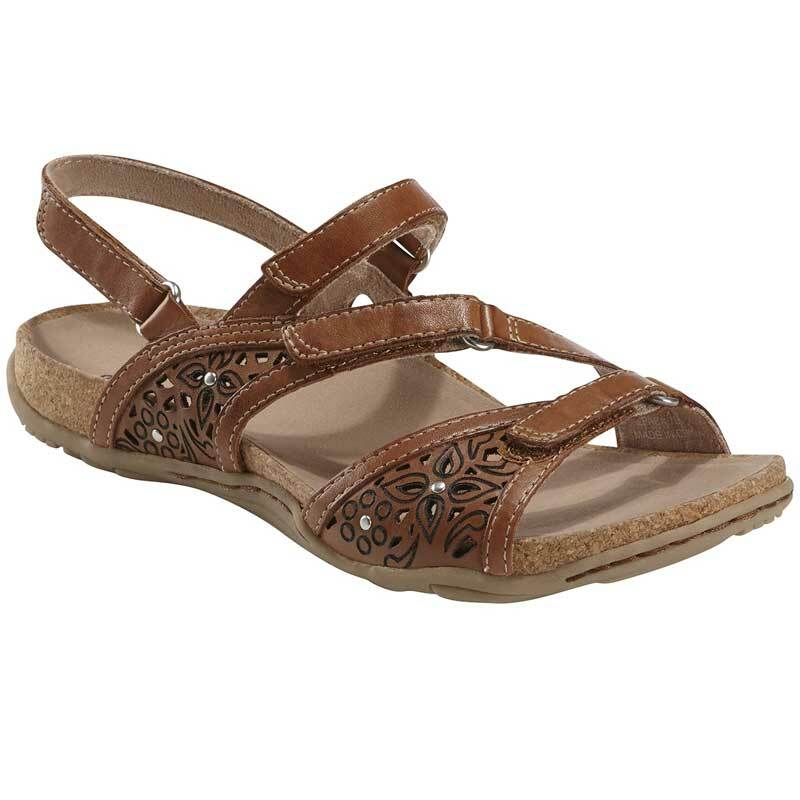 This women’s sandal has an upper made of soft leather with floral cut-outs and four adjustable straps to ensure that you get the perfect fit. A breathable PU lining gives you next-to-foot comfort and the Earth’s comfort footbed offers multi-density cushioning and arch support. The outsole of the Mui is made of thermo plastic rubber and gives you both traction and underfoot protection. Whether you’re taking off on a tropical vacation or just running errands, the Earth Maui is the perfect sandal for the job.